Is it Ethical for Lenders to Influence Short Sale Values? A couple of weeks ago a lender ordered an appraisal on one of my Short Sale listings. He had been hired by the lender to set the value. 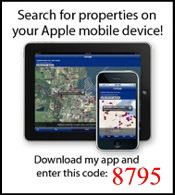 He was an out-of-area appraiser and did not have a SUPRA key, so one of us had to meet him at the property. As we went through the property together, we noted the overlay roof with rotting decking and soffits, carpets that would need to be replaced, deteriorating siding, and rotted beams on the front of the house. I suspect that the buyer will have to pay cash or perhaps a 203(k) rehab loan due to the roof and rot. As we talked, he shared his comparables. I asked him why he did not use the three foreclosures on the same street rather than going into another subdivision to find sales. He told me that the lender’s directions were “not to use foreclosures or Short Sales” as comparables. Of course, when the value came in it was at least $20k too high. If this was a normal mortgage, you can be sure those three foreclosures would have been used to determine value but in a Short Sale, they will not. 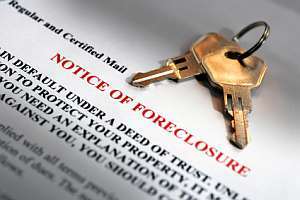 This process almost guarantees that the home will go into foreclosure. Let me understand the situation. We created HVCC to allow appraisers to operate without influence. The AMCs are usually owned by the lenders, so now the lenders are telling appraisers how to value properties! So all we’ve done is to have the appraisers work for the lenders (through the AMCs) rather than the borrowers. This has driven up the cost to the borrower, reduced the income of the appraisers, and increased lender profits. 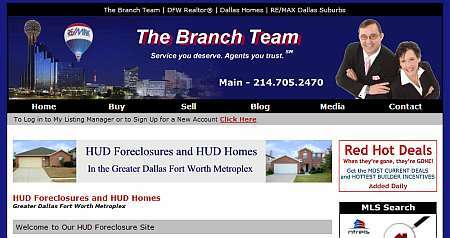 Farmers Branch TX Homes For Sale – Great potential for investor in Carrollton-Farmers Branch ISD. Covered front porch. Light and bright kitchen with lots of storage. French doors open to large heavily-treed back yard with storage building. Complete AC system replaced in 2009. Across the street from Rawhide Park. Enjoy the walking paths, mature trees, and playground along Rawhide Stream. Easy access to 635. 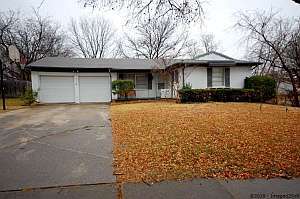 Current status, pricing, photos, and a virtual tour for this Farmers Branch TX Home for Sale. I don’t often write blogs about software but every now and then a company stands out and deserves to be recognized. This time I came across two great companies and products in a single project. Over the past couple of weeks we began to transition from an online fax service to a fax machine and a fax server in our office. We had had problems getting our faxes from time-to-time so we either had to find a new online service or bring it back in-house. The goals were to remain paperless, retain functionality, and have no increase in cost. The Brother 7820N can be used as a traditional paper fax machine or a paperless fax using Brother’s PC-FAX software. We had an old laptop so we loaded it with a fresh copy of Windows XP Pro, PC-FAX, and we had a nice little paperless fax server up and running. Remain Paperless, Check! With an online fax service you typically get your emails via email in PDF format. We were able purchase Follow Me Fax which can convert the TIF format from the Brother into a PDF and send it out via email. We soon discovered that the TIFs produced by the Brother fax machine have a flaw that prevents the PDF engine in Follow Me Fax from producing a PDF file. EDocFile, the software developer, was responsive and we were able to troubleshoot the issue. While they could not solve the ability to make PDF issues (it’s a Brother issue), they did update Follow Me Fax to deal with the odd files names produced by the Brother fax machine. The good news is we are able to forward the emails as multi-page TIF files. The only downside to TIF files was that we would not be able to view faxes on our iPhones. We’re mobile quite a bit and the ability to view faxes on the road was a capability we wanted to retain. In my quest for a solution, I came across Fax Reader by SmallTalk Consulting. Fax Reader is an application for the iPhone, iPad, and iPod that was designed to read multi-page TIF files. I quickly purchased a copy on iTunes and installed it on my iPhone. I had problems getting it to work and dropped the developer an email at 2 in the morning. I was really surprised to get a response within a few minutes. We exchanged emails and determined that I had failed to allow Location Services to be active in the software. I made one quick change to the Location Services settings and we were up and running. Retain Functionality, Check! We will be terminating the online fax service saving about $15 a month. We’re porting the number to our fax machine in the office at a cost of $2 per month. Follow Me Fax was $99 and Fax Reader was $3.99. We were able to reduce our costs by $13 a month with an upfront investment of $103. The project pays for itself in 8 months. No Increase in Cost, Check. The developer of Fax Reader has given me five Promo Codes for a free thirty-day trial. Email me if you would like one of them. Dave Liniger, Chairman and Cofounder of RE/MAX International recently published an article titled, “Selling It Short” in DS Magazine. The article is a report card on Short Sales in general and where he thinks we’re headed in 2011. Dave focuses on three major areas; avoidable problems, untrained agents, and good ideas. “…it’s time for avoidable problems such as lost files, conflicting responses, and inadequate communication to be minimized or eliminated altogether,” he wrote. While we don’t see much of this these days, the delays as the file gets bounced from negotiator to negotiator can be very frustrating for the agents, seller, and the buyer. As a major Short Sale listing broker, I have to agree that this would be a great idea. We already do it with FHA Short Sales. The only issues we run into here are poorly completed BPOs or appraisals where the value is so out of line with what the market that it makes selling the property impossible. Lenders should have processes in-place that will allow us to challenge the values rather than leaving us stuck with that value for 120 days. We encourage homeowners across the United States to get educated on the options available should they become financially distressed. Short Sales are a great tool, providing relief to all parties. Just remember to choose a REALTOR® with a proven Short Sale track record to negotiate on your behalf. Making the right choice can mean the world of difference to your financial future.